Teaching mathematics and fostering the love for the subject through storytelling can be a powerful strategy. To help teachers and parents implement this creative teaching strategy, well-written mathematical stories are needed. 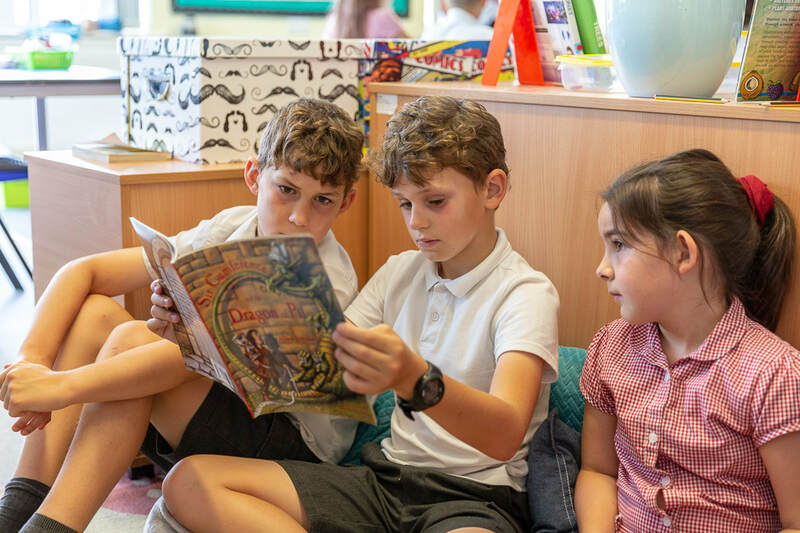 We have put together this friendly guideline to help prospective mathematical story authors see some of the key common features of well-written mathematical stories, particularly in the story picture book format. Whether you are a prospective mathematical story author, a publisher or a mathematics teacher (who wants their students to develop their mathematical thinking by creating their own mathematical story picture book), we hope you will find our guideline below useful. Key Feature 1: Story, story, story! At the risk of stating the obvious, story picture books must contain a story involving characters, settings, plots, etc. Too often, many of us assume that all picture books contain a story. This is incorrect. 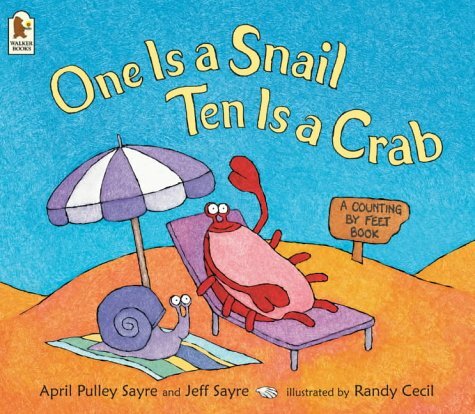 In the context of mathematical story picture books, much-loved titles, such as ‘One Is a Snail, Ten Is a Crab’ (Sayre & Sayre, 2003) is a great example of mathematical picture books that does not contain any story elements. While this title is very useful in helping young children learn to count and add through a series of illustrations of people and animals with different number of legs (e.g. “1 is a snail. 2 is a person. 3 is a person and a snail.”), it is not a mathematical story in that it contains no story elements. ​Another great example is the much-loved ‘If the World Were a Village’ (Smith, 2018), which is an excellent picture book to help young readers think proportionally about demographics of the world’s population (nationalities, languages, ages, etc.) if the world were a village of 100 people. However, it is not a story in that it contains no storyline nor characters. ​More accurately, both ‘One Is a Snail, Ten Is a Crab’ and ‘If the World Were a Village’ should be described as mathematical concept picture books. Despite this distinction, it should not necessarily be interpreted as concept picture books are inferior to story picture books. The key message here is simply that it is important that we all have a precise language to communicate with one another on what it is that we are referring to. In the context of MathsThroughStories.org, our focus is on encouraging teachers and parents globally to teach mathematics through story picture books. This is primarily because – unlike mathematical concept picture books, textbooks or worksheets – the story element in (well-written) mathematical story picture books allows readers to be emotionally invested (and hence engage) in what they read, and to fully immerse in the context in which mathematical topics are meaningfully embedded in. This also highlights the importance of having an engaging narrative that can stand on its own. Ultimately, mathematical story authors must avoid creating a mathematics textbook or worksheet in disguise. Instead, they must work hard to create a genuinely engaging story where a mathematical concept is meaningfully embedded in the story. One great example is ‘All the Little Ones and a Half' (Murphy, 2001). It is a story about all the Little Ones and a Half who have lived happily, alongside the Little Twos, Threes, Fours and Fives, until they are chased away from their homes by a big bad Hundred. Half (who is often forgotten by her peers because of her small size) comes up with an ingenious idea to stand up to Hundred, that is for everyone to join together and be counted. To their despair, it soon becomes apparent that they are not bigger and stronger than Hundred – they are just the same size as the bullying Hundred. It is only when Half reminds everyone that she should be counted too that they realize that they are now bigger and stronger than Hundred … by a half! Together, they are able to successfully stand up to and chase away the big bad Hundred. Action! Drama! Solidarity! Justice! ​This story is full of characters, actions, struggles, and emotions. And yet at the heart of it is also a story about place value, number comparison and fractions. This is a great example to illustrate the fact that storytelling and mathematics teaching do not have to be mutually exclusive. They can be combined to create something truly remarkable – a mathematical story. ​Imagine you were a five-years-old child listening to this story for the first time, and you have yet to master the concept of place value, particularly how big the number one hundred really is, or imagine you were a child who has yet to grasp what a half means: not only does this story bring these mathematical concepts to life, it also allows you to experience and develop a relationship with these mathematical concepts in a radically different way. No longer are place value and fractions something that can only be found in traditional mathematics textbooks, worksheets or on blackboards. Through the story, these mathematical concepts suddenly become alive, and can feel happiness and fear just like children who read the story. It is only because of the nature of stories that makes this type of emotionally-invested learning possible. Defining stories can be difficult. Bruner (2002, pp. 16-17), a leading scholar in the field of educational psychology and narrative, argued that a story must involve a cast of characters who have "recognisable expectations about the ordinary state of the world, the story’s world [...]. A story begins with some breach in expected state of things [...]. Something goes awry, otherwise there’s nothing to tell about. The story concerns efforts to cope [...] with the breach and its consequences. And finally there is an outcome, some sort of resolution." The way stories involve not only characters but also some sort of a struggle or a problem for the characters to solve lends itself perfectly for mathematics teaching and learning whereby characters find themselves having to use their mathematical knowledge and skill to solve a problem that they face in the story. ​An example of mathematical stories, defined in this way, include ‘A Mousy Mess’ (Driscoll, 2014). This is a story about a young mouse named Albert, his sister Wanda and their friend Leo who come out to play with a child’s toys before Albert accidentally knocks over the toys out of their different containers. Panicked, they quickly think of different ways to put these toys back to their containers so the people would not know that they had been there. Initially, some toys are sorted by their colour, while others are sorted by their shapes and sizes. Then, Albert finds a big blue round roll-y ball which can go into more than one pile. This prompts the mice to rethink about how best the toys should be sorted and organised. The story encourages young readers to think of other ways the toys can be sorted to help Albert, Wanda and Leo solve the problem. However, we know from experience that not every story necessarily has to have a struggle or a problem for characters to solve. 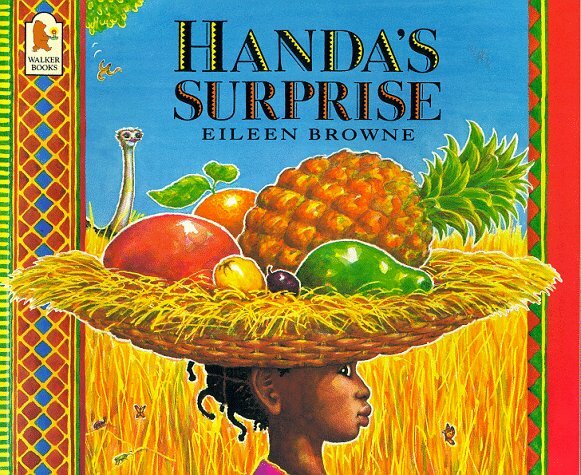 Take the much-loved ‘Handa’s Surprise’ (Browne, 2014) as an example. Set in a village of the Luo tribe in south-west Kenya, this story is about a girl, Handa, who wants to surprise her friend, Akeyo, with seven delicious fruits. Handa put the fruits in a basket, which itself sits on Handa’s head. Along the journey to see Akeyo, seven different mischievous animals take the fruits one by one from the basket without Handa knowing, until there is nothing left. As she is walking past a tangerine tree, lots of tangerines fall onto the basket on top of Handa’s head (presumably very gently and very quietly!). By the time she sees Akeyo, Handa is herself surprised to see lots of tangerines in the basket instead of the seven different fruits she picked for her friend. ​In this story, there are certainly characters and a storyline (regardless of how simple it is), but no problems nor struggles for Handa to solve, and yet this story provides a meaningful context for young readers to learn a range of mathematical concepts, such as subtraction, for example. Stories can thus be defined more liberally as any narratives that simply have a storyline and a character(s). However, mathematical stories with a problem solving element can be a useful teaching tool given how the problem solving skill is endorsed by many Mathematics curriculum around the world, for example, in England, in many States in the USA that adopt the Common Core curriculum, and in Singapore. Another common feature of well-written mathematical stories is what we refer to as the variation of mathematical situations. To explain this concept, take ‘Bean Thirteen’ (McElligott, 2007) as an example. The story follows two crickets, Ralph and Flora, who have collected twelve beans to bring home for dinner. When Flora decides to pick one more bean (i.e. Bean Thirteen), Ralph is convinced it will bring bad luck. No matter how many friends they invite to try to share the 13 beans equally, it is always impossible. In this example, while the number of crickets varies, the number of beans is invariant (kept the same). Through this variation of mathematical situations, rich mathematical investigations are made possible. Students can be asked, for example, to continue the pattern to prove that 13 cannot be divided evenly by any other numbers except for 13 itself (and hence demonstrating the meaning of prime numbers in the process). Another example of variation of mathematical situations can be found in ‘Fractions in Disguise’ (Einhorn, 2014). This story focuses on the concept of equivalent fractions and it is about how George Cornelius Factor (who happens to share the same acronym, GCF, with – wait for it – the greatest common factor!) invents a machine, called ‘Reducer’ to help him find a very sought-after fraction (5/9) that has been stolen from a fraction auction, and has been disguised as another fraction by the villainous Dr. Brok. While at Dr. Brok’s mansion, GCF uses his Reducer machine to reveal the true form of a range of fractions (e.g. 3/21 is really 1/7; 34/63 is already in its true form; 8/10 is really 4/5, and so on) before he comes across 35/63 which is later revealed as the 5/9 fraction he has been looking for. Through such variation of mathematical situations, both ‘Bean Thirteen’ and ‘Fractions in Disguise’ make it possible for their readers to take their time to digest the new mathematical concept they are learning by providing them with several mathematical situations or examples to show them what is and what is not prime numbers and equivalent fractions, for example. The goal is that once they have seen enough examples of what is and what is not prime numbers and equivalent fractions, they will arrive at their own definition (and hence understanding) of these concepts themselves. Authors of well-written mathematical stories think carefully about what kind of variation their story needs that could help scaffold students’ learning of a mathematical concept in question. One of the key strengths of the story picture book format is the way mathematical concepts can be represented in different ways, be it visually (through page illustrations), symbolically (through mathematical language, models and notations), and contextually (through meaningful contexts in which mathematical concepts are found). Take ‘Divide and Ride’ (Murphy, 1997), for example. This is a story about a group of eleven friends who want to go on carnival rides. Some of these rides have two-people seats, others have three- and four-people seats. As these seats have to be filled up before each ride can begin, the children constantly have to work out how to group themselves. Due to 11 being a prime number, there is always, at least, one person being left out (a remainder), and additional children are consequently invited to join their group to fill up the seats for each ride. Through the storyline, children can visually see how division works and what a remainder means in real life. This helps children to contextualize the concept. 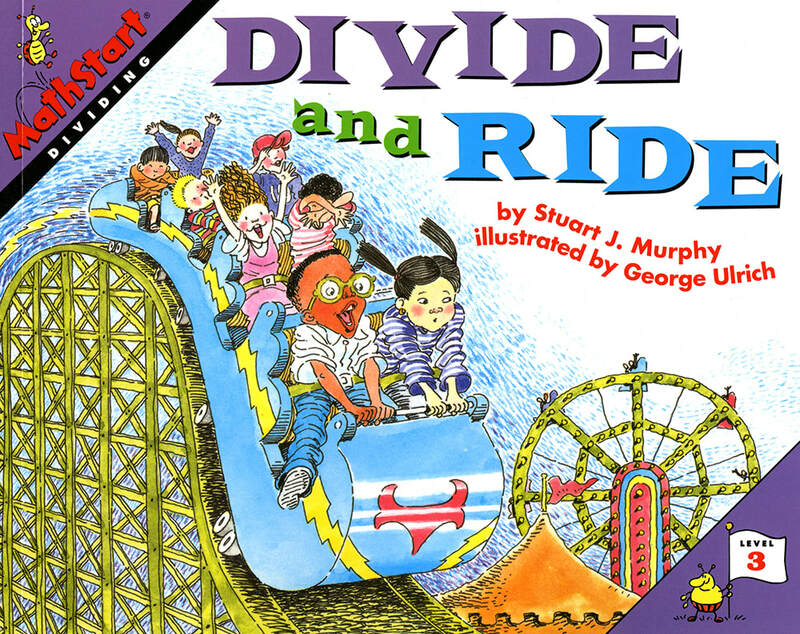 Additionally, not only do the illustrations depict division through images of children filling up the seats, they also include a mathematical model at the bottom of each page to represent the divisional situation in a different way as well as corresponding numerals to help children connect visual representation with symbolic representation. ​Theoretically speaking, the more children are able to make meaningful connections between different representations of mathematical concepts, the more conceptual understanding they are demonstrating. Thus, effective mathematical story picture books carefully look at how these different representations can be combined seamlessly throughout the story. Effective mathematical stories incorporate readers’ common misconceptions about a particular mathematical topic in the stories as a teaching point. A good example is ‘Sir Cumference and the Fracton Faire’ (Neuschwander, 2017) which follows Sir Cumference and his wife, Lady Di of Ameter, to a local Fracton Faire where local goods are sold and where different shopkeepers show how numerators and denominators can be useful for customers to indicate how much of each product they want to buy (e.g. one-fourth of a roll of fabric, four-eights of a cheese wheel). The story addresses a common misconception that the bigger the denominators, the larger the parts. Specifically, in the story, Sir Cumference is surprised to learn that four-eights of a cheese wheel that he wants is the same size as two-fourths of the same cheese wheel that Lady Di has chosen. Authors of effective mathematical stories do research and consult with experienced mathematics educators to identify such common mathematical misconceptions and weave them in their story. While mathematical topics are closely interconnected (e.g. percentage and decimal are related to fraction, multiplication is related to division, etc. ), most mathematical stories focus on one core mathematical topic. This is not because mathematical story authors and publishers believe that mathematical topics should be taught separately, but this is more likely a result of limited space in each picture book. Given that, on average, each picture book has around 30 pages, it would be difficult to try to cram in, for example, percentage, decimal and fraction into one story. Instead, only one mathematical topic is often investigated fully per story (please see Key Feature 3) while connections to other related topics are occasionally included, but are secondary to the core focus. Drawing from their chosen story, teachers and parents can also, of course, help to make connections to other related topics more explicit themselves should they wish to..
Not every mathematical story is written by a mathematics specialist educator, so cautions must be taken in relation to the mathematical accuracy of the story. A recent study by Nurnberger-Haag (2017), for example, conclude that several explicit and implicit inaccuracies are found in 66 shape books for young children. More specifically, 76% of the books about 2D shapes have, at least, one inaccurate picture or statement in relation to the topic. In relation to children’s books about 3D shapes, several books mislabel them with 2D terms, for instance, ice cream cones, cone-shaped hats, and pyramids were incorrectly labelled triangles, among other several examples. Needless to say, some experienced educators and parents who have a good mathematical subject knowledge could turn these inaccuracies in the storybooks into excellent teaching opportunities, inviting their children, for example, to give mathematical reasoning for why a particular statement or illustration might not be accurate. However, to some less experienced and/or non-mathematics specialist educators, these errors could go unnoticed. This could then potentially result in mathematical misconceptions being reinforced to young unsuspecting children. Authors of well-written mathematical story picture books ensure the accuracy of the mathematics presented in their story. Another common feature of good mathematical stories is diversity of characters. This is particularly relevant when stories in picture books are read to young readers when they are most impressionable, at a time when they are forming self-identity. There are several kinds of diversity, including but not limited to gender and ethnic diversity. In terms of the former, imagine a mathematical story where female characters are entirely absent, and all there is in the story is how boys and men use their mathematical knowledge to solve a problem. If a young girl growing up reading or being read mathematical stories where girls and women are either largely underrepresented or entirely missing, how would they see themselves in relation to mathematics? What would then become of their self-identity in relation to mathematics? This is crucial particularly when there is still a global gender disparity in the number of females taking up advanced Mathematics courses and pursue STEM-related careers when compared to their male counterparts. Similarly, if children of ethnic minorities grow up reading mathematical stories where only white children are the main characters solving mathematical problems, with characters of ethnic minorities kept at the peripheral, how will they see themselves in relation to mathematics? What will become of their self-identity in relation to mathematics? While the use of talking animals, animated objects or aliens as characters are a quick solution to get around the ethnic diversity issue, the same cannot be said about gender as the use of personal pronouns (he, she) in the story still gives away gender details of the characters. Unless the authors decide to use gender-neutral personal pronouns (such as the singular ‘they’ and ‘their’ for all individual characters) they need to be mindful of the diversity of gender in their story. Authors of well-written mathematical stories take the issue of diversity of characters seriously. As a society, we likely have more than enough of mathematical story picture books with a focus on counting, addition, subtraction and basic 2D shapes in the market. If you ask any teachers or parents, they would likely say the kind of mathematical picture books they need cover mathematical concepts less written about, such as negative numbers, percentage, prime numbers, or trigonometry, etc. ​Use the world's largest database of recommendations for mathematical stories on the MathsThroughStories.org website to identify these mathematical topics that are less written about. Also be unique and innovative in examples used to explain your chosen mathematical concept. For example, apart from pizzas, are there anything else in life that you can use to demonstrate the concept of fractions to young readers? 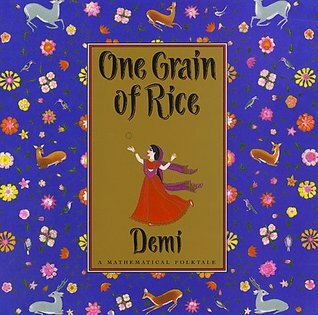 Read lots and lots of mathematical story picture books in the market that cover the same mathematical topic as you do. Aim to make your story stand out and memorable. Upon seeing only a few words or sentences per page in most story picture books, many of us might be mistaken in thinking that coming up with the text is the easiest aspect of creating a story picture book. Ask any experienced authors or editors and they will tell you the opposite. Given the limitation of how much text is allowed per story or should go on each page, authors of well-written mathematical stories must work hard to ensure that key ideas are clearly and concisely communicated to their readers. This can be quite challenging particularly when mathematical terms can mean something else in a non-mathematical context (e.g. ‘degree’ vs ‘degree’, ‘volume’ vs ‘volume’, ‘odd’ vs ‘odd’, ‘root’ vs ‘root’, etc.). Therefore, it can be useful for mathematical story authors to try out the draft version of their text by asking prospective readers to read (or to listen to the story being read to them in the case of very young readers) to ensure that the text is age appropriate, can be easily understood and not too long at the point of losing their audiences’ interest. As previously noted, teaching mathematics and fostering the love for the subject through storytelling can be a powerful strategy. 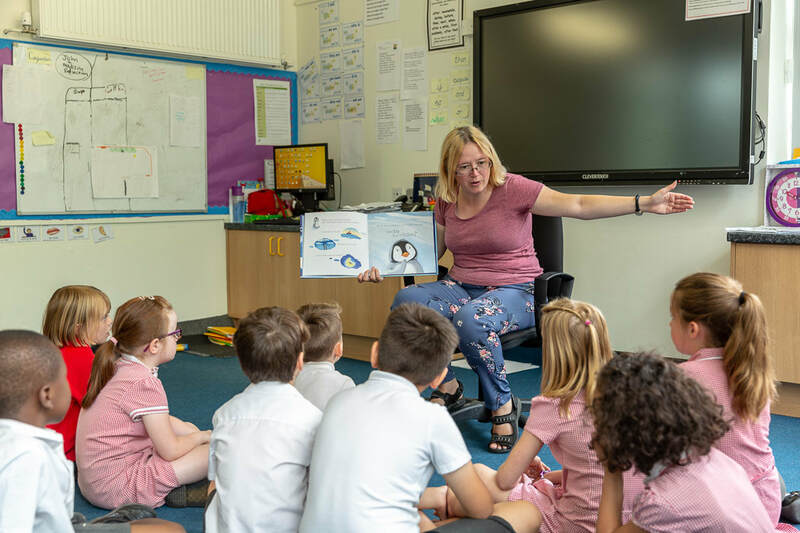 However, as a society, we need more mathematical story picture books to allow teachers and parents to implement this creative teaching approach. That said, we do not just need more mathematical story picture books. What we need is more mathematical story picture books that are well-written and effective in teaching young readers mathematical concepts and promoting their love for the subject. At MathsThroughStories.org, we do hope that prospective (and even experienced) mathematical story authors will find this brief guideline useful. If you have any comments or questions about this guideline, please feel to leave them below. This guideline is written by Dr. Natthapoj Vincent Trakulphadetkrai (Lecturer in Primary Mathematics Education at the University of Reading (UK), and founder of MathsThroughStories.org). It is drawn from a number of Dr. Trakulphadetkrai's recent publications (see below) and from his interviews with nearly 20 mathematical story authors. He is grateful for comments on earlier drafts of this guideline from various authors, including but not limited to Dianne Ochiltree​, Donna Jo Napoli, Laura Driscoll, Mary Murphy, Matthew McElligott, and Stuart J. Murphy. Trakulphadetkrai, N. V. (In progress). The effect of children producing a mathematical story picture book on their conceptual understanding of multiplication: An exploratory study. Trakulphadetkrai, N. V., Aerila, J.-A., & Yrjänäinen, S. (Forthcoming). Bringing mathematics alive through stories. In J.-A. Aerila & K. J. Kerry-Moran (Eds. ), The potency of stories: Nurturing influences across young children’s developmental domains. New York, NY: Springer Nature.